Depending on your individual needs, we can provide classroom and individualized instruction, Internet and computer-based instruction, aptitude and skills assessment, counseling, advising and peer tutoring. 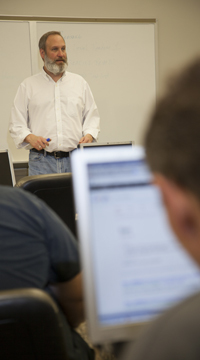 Learning Services arranges special accommodations for students with learning disabilities, such as sign language interpreters or textbooks on tape. The Test Center provides placement testing and exams for Distance Learning courses, departmental exams and various certification testing. Tutoring Services provides free tutors for many Kirkwood courses. TRIO provides academic and personal success from enrollment to graduation leading to work or to transfer. VITAL (Vocational Individualized Training and Learning) assists high school special education students transition to Kirkwood. Accommodation Services for Students with Disabilities helps arrange reasonable accommodations for students with disabilities. 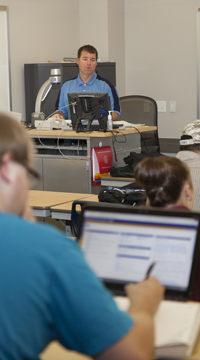 The Assistive Technology Lab helps students requiring specialized software and/or devices. The ASK program provides support services for Kirkwood students with autism spectrum disorder.